Comet 200181A. Self Contained Single Pulley. 5/8" Bore, 3/16" Keyway. 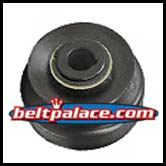 Home > Comet Clutches and Parts > Comet 200182A Centrifugal Clutch. A or B Pulley. 3/4" Bore. > Comet 202313A. Comet Industries 350 Series Drive Clutch. 7/8" Bore. > Comet 202312A Centrifugal Clutch. Heavy Duty Self Contained Single Pulley. > Comet 200181A. Self Contained Single Pulley. 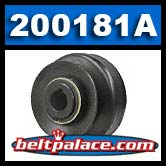 Comet 200181A Centrifugal Clutch for V Belt. Self Contained Single Pulley. Genuine Comet Industries Part NP35AB 62 CLUTCH S350. MADE IN USA! SALE PRICE WHILE SUPPLIES LAST: ORDER NOW!